Also Voted Best Tint Service in North County for TESLA's! Superior mobile window tint service in north county that comes to you! ﻿﻿Welcome to Escondido Window Tinting Pros- finest window tinting service in Escondido, CA and the surrounding North County San Diego region. We've had the pleasure of serving the Escondido and the local area residents for many years. We are proud to claim we have the most professional staff, outstanding services and competitive pricing that you'll find out there. Our goal is to leave you glaring with excitement once we've finished tinting your vehicle, home or office! 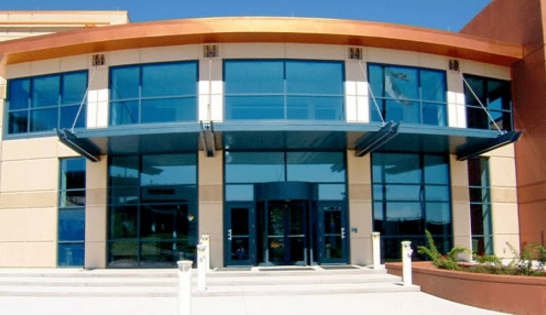 Whether you’re looking for a more comfortable and classier driving experience, protection from harmful UV rays, lowered energy bills, cooler temperatures or more productive employees, give Escondido Window Tinting a call today cause we’ve got you covered! Our team has the experience, the knowledge, the professionalism and the expertise for all your window tinting needs. We use industry leading window film from manufacturers like 3M, Llumar, SunTek, Madico, Solar Gard, Global for maximum glass and/or paint protection. We're also a full mobile service! How cool is that? We are here to meet all of your glass tinting needs. No matter where you are, what you're schedule is like, we can come to you. The only thing we need is a couple of hours and some space in a garage. That's it. Combine our highest quality of service with the best prices in town and you've got the leader at Escondido Window Tinting Pros! ﻿CALL US NOW FOR OUR CURRENT SPECIALS! What are the benefits of tinted windowS for your Car? Personal Protection - Nobody likes being blinded by the sun, especially when you’re out driving. And we all know there's plenty of that in Escondido. Sunglasses do a great job for the sunlight that’s coming directly into your view, but what about your peripheries? Don’t you just hate it when the visor in your car doesn’t get low enough to keep the sun out of your side view? Yeah, so do we. And that’s where having tinted windows can solve that problem. Clear Bra/Paint Protection - In addition to window tinting for your car, we offer further protection for your vehicle with our top of the line clear bra and paint protection coating. Our team uses a durable, transparent barrier that serves as a sort of armor for the paint on the body of your car. It's a layer of film unseen by the naked eye for security against paint chips, stains and scratches and other scrapes caused by debris in the road, bug and much more. Vehicle Wraps/Graphics - Want cool art, company logo, contact information on you vehicle? Afraid of damage to your car's paint? No problem. Our Vinyl Wrap service is perfect for you. We've got lots of experience wrapping and our window tint experts will have you're completed in a days time. The material we use is easily removed when you're ready to see or no longer want the wrapping. Just ask us about this service today! Comfort - Not only that, but glass protection film or window film can reduce the temperature on the inside of your vehicle so that you don't have to run the AC and burn that extra gas just to be comfortable. This is the kind of peace of mind we emphasize our customers, by striving to ensure them that with our window film and window tinting service, the “perfect” car driving experience is just a few short hours away! Style - Not only our does having tinted windows improve your visual experience, it absolutely enhances your “style”. Let’s face it. Cars with tinted windows just look cooler than the rest. We certainly think so and so do all of our hundreds of satisfied customers who’ve wanted to be that envied driver. And have become so after we’re done enhancing their vehicle. WhY NOT TINT your Home WINDOWS? Home experience - Although mostly thought off as an application to car windows, window tinting can be greatly utilized in your place of residence. It can really heighten the experience of the home view. There are many homes in Escondido and all around North County that we've been able to apply of window film and window tinting service on that have enhanced their serenity. Whether it’s waking up to the sun in your face or looking out at a beautiful sunset from your living room, tinted windows provide the ability to fully enjoy those moments by removing the “squint factor”. By reducing the effect of the light, your vision is much less obstructed leaving the viewer more able to see the outside. Optimal Working Conditions - No matter where your office is located in Escondido, the sun will be shining brightly throughout the year and especially into those higher stories of. They too could absolutely benefit from tinted windows. Protection to the office furniture and equipment from the UV rays, lowered air conditioning costs due to decreased temperature and a nicer working environment for the employees are just a few. We can add window film to any windows and you can rest assured that we’ll do our best to create that perfect view in no time. Who is Escondido Window Tinting Pros? We are a group of experience window film, window tinting and glass protection experts, highly trained in the art of decorative tint. Each team member goes through rigorous training where we teach them hands on best application techniques. They are taught to treat each window surface as it they were applying the film to their own property. That’s the care we take and trust we give to our customers. Satisfaction is always guaranteed and that’s how we’ve earned our great reputation. We’ve been serving the Escondido and surrounding suburbs for many years providing friendly service and cutting edge window tinting all across the county. 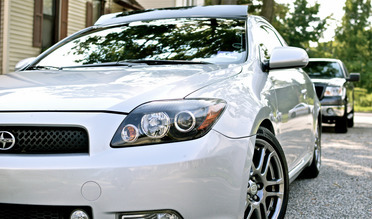 Window tinting is an absolute art and should be executed by a skillful experienced professional. We’ve all heard of those do it yourself mishaps where the film has air pockets and starts the peel pretty quickly. You don’t want to be the one telling that story, that’s for sure. We ensure the highest quality of service. We are licensed and only use window protection film from manufactures with great reputations who offer warranties. Reduce the glare and increase the style with our Automobile Window Tinting service. Adding that little extra privacy, for those awkward nose picking moments or funny looks from other passersby is just comforting. Heck on a hot day, you may want to even remove some clothing for comfort, but obviously don’t want people to know, that’s just one of the many benefits of having tinted windows. ​Plus, you’re also stepping up your “cool car” game instantly. Seriously, who hasn’t driven by a car with tinted windows, and I mean any car, and thought, "that’s car looks pretty cool. That person must really like their vehicle, man I would love to tint my windows!!!" Not to mention having tinted windows protects the inside of your cars leather, seats, dashboard and temperature. With these, a sense of pride knowing they’ve added that “cool” factor. I mean, who doesn’t like having or seeing a car with tinted windows. You can be that guy or gal in as little as a few days once you call us! 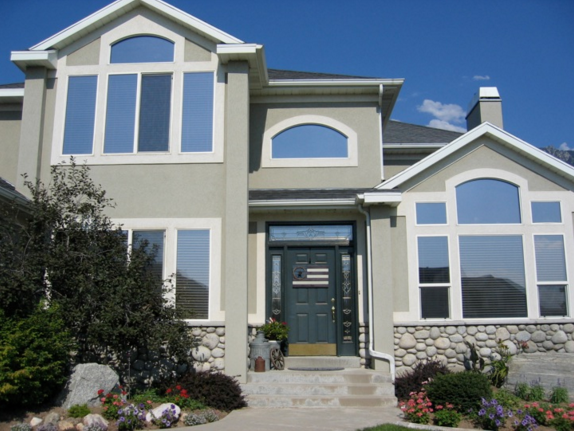 ﻿​Glass tinting of a home or residence isn’t the first thing thought of when it comes to exterior decoration, but can have significant benefits beyond curb appeal. Living in sunny Southern California we are blessed to have tons of sunshine all year long. Wouldn’t it be great to enjoy that spectacular light without having to squint your eyes or completely subdue it by closing the blinds and shutters? You know it would! That’s where Escondido Window Tinting comes to the rescue. 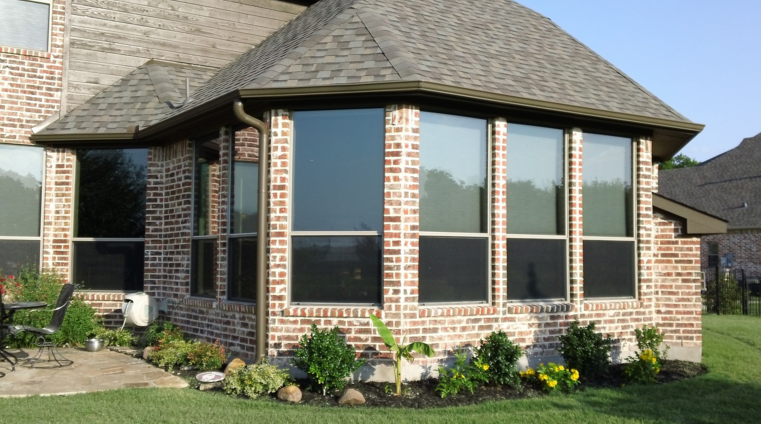 We’ll professionally install the best window protection film to all of your desired windows leaving you with the ability to comfortably gaze upon the gorgeous landscape and scenic views, with your eyes wide open. ​It’s our goal to leave you absolutely breathless not just with our highest quality service, but also with our outstanding competitive pricing. You’ll be gasping for air for days once we’ve completed your project. So, next time you’re thinking of enhancing your panoramic living or dining room, think of Escondido Window Tinting, the unequaled leaders of window film installation San Diego California. Working all day in an office building while the bright California sun is beating against is a real issue for many business owners. Ensuring a comfortable working ambiance and environment is a great "unspoken" benefit to provide to your employees. Keeping your office building comfortable in high temperatures and extreme brightness means pulling down the shades and turning up the air conditioning. This often results in higher electricity bills and reduces the bottom line for a business. 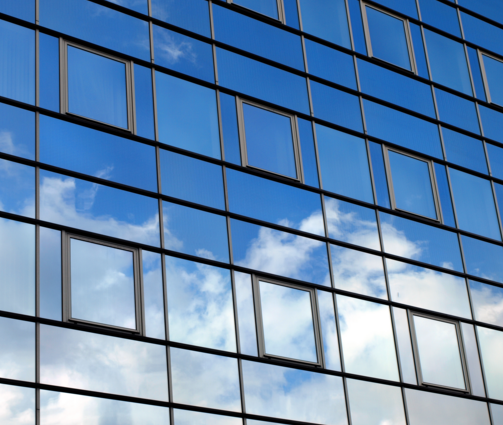 A great way to alleviate this expense is to apply window film to your office building windows. Oh yeah, we also remove old, peeling or unwanted window tint film. Leave it to the experts to rid of that ugly cracking eye soar and replace with a gorgeous one in no time at all. We'll leave your glass looking better than ever so you can get back to relaxing and enjoying the view.